The temp agency that had hired the workers had been audited by Immigration and Customs Enforcement. In one fell swoop, Cloverhill -- a large-scale bakery with nationwide distribution -- lost more than one-third of its workforce. 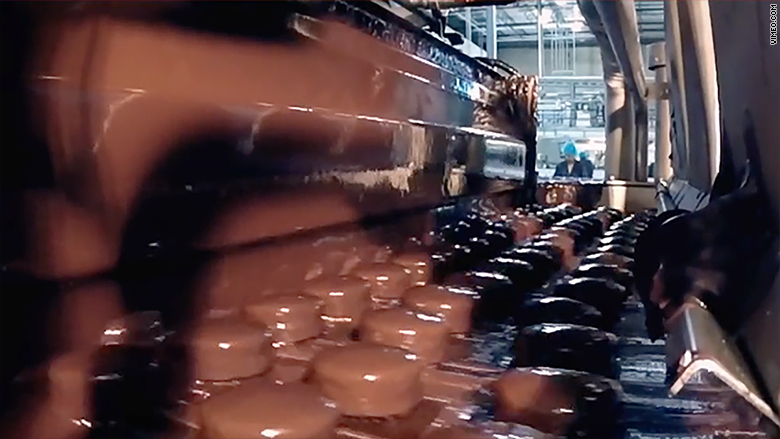 "With Cloverhill's worker issues [last] year, they were not able to fulfill our orders in a timely manner," said Mike Gloekler, a spokesman for the Collegedale, Tennessee-based company. 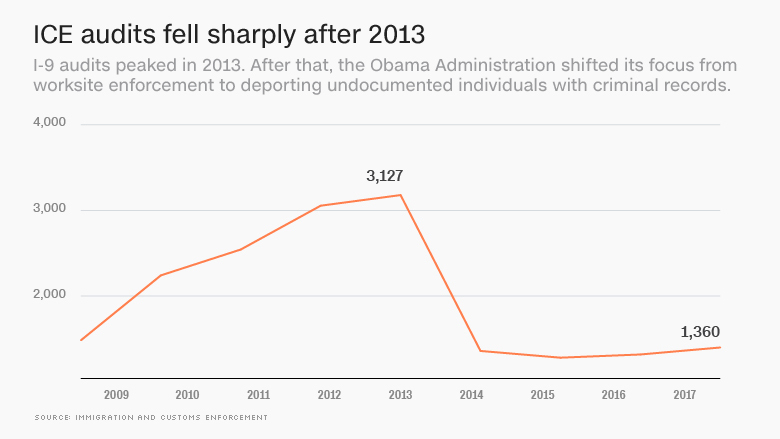 Worksite enforcement is the next leg in the Trump administration's multipronged strategy to quell unauthorized immigration. 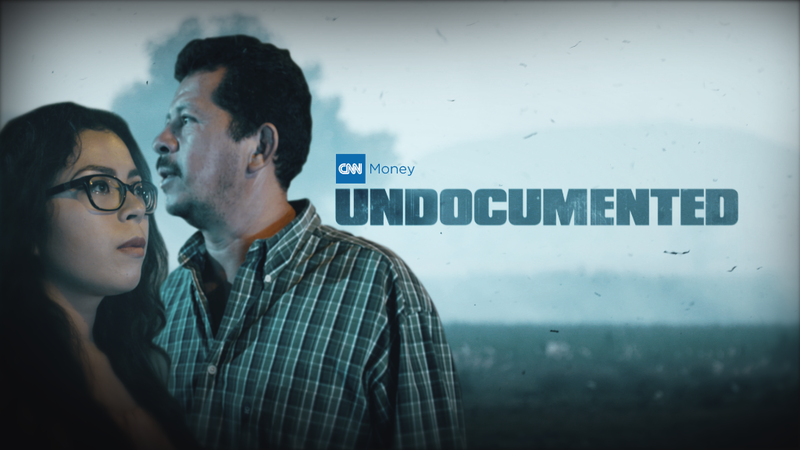 In recent months, U.S. Immigration and Customs Enforcement (ICE) has signaled it would significantly step up audits and raids on employers in order to sniff out undocumented workers and those who hire them. "I want to see a 400% increase in work site operations," said Tom Homan, deputy director of ICE, at a press conference in Washington D.C., in December. "We're not just talking about arresting the aliens at these work sites, we are also talking about employers who knowingly hire people who are unauthorized to work." ICE regularly conducts I-9 audits, which seek to verify whether workers provided proper proof of identification -- such as a driver's license or a Social Security card -- when they were hired. Employers must keep these I-9 forms after they have hired a worker and for a period of time after the employee has left the company. 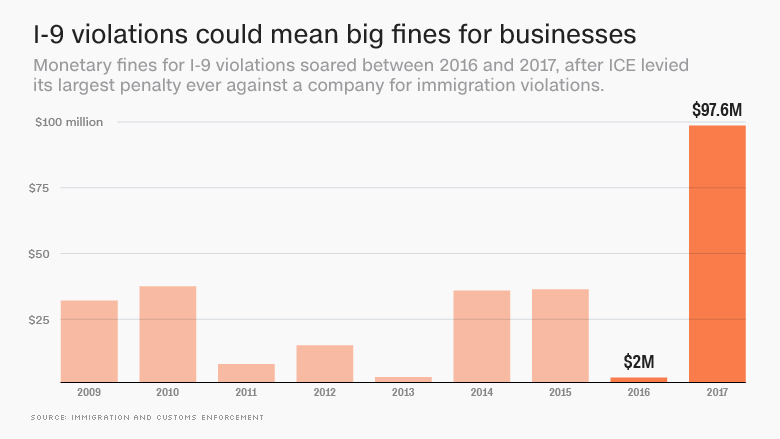 With the expected ramp up in worksite enforcement, "immigration could become the new white collar crime," said John Fay, an immigration attorney with LawLogix, a provider of digital solutions for immigration and I-9 compliance. ICE's worksite enforcement actions resulted in $97.6 million in fines and forfeitures last year, up from $2 million in 2016. According to ICE, the spike was almost entirely the result of penalties incurred by Asplundh Tree Expert Co., which was fined a total of $95 million. ICE said it was the largest payment ever levied in a work site case. According to the agency's estimates, at least 10% of Asplundh's tree cutting unit was staffed by undocumented workers. So far, no details have been released regarding fines or charges associated with the audit that impacted Cloverhill Bakery, but it's clear the business has paid in other ways. In its annual report released in September, Cloverhill's Swiss-based parent company, Aryzta AG, said its bakery division had incurred more than $19 million in losses in June and July, largely due to the shedding of hundreds of experienced workers. 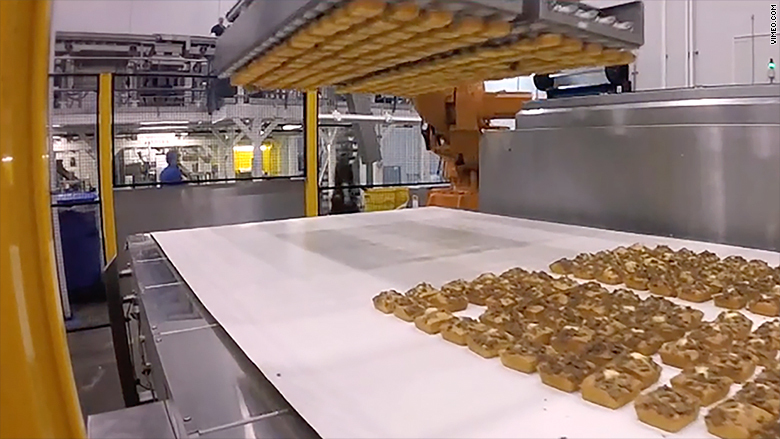 "As these individuals had significant knowledge and experience of the baking process... there has been a significant decrease in the labor efficiency and production volumes as a result of this disruption," the company said. Aryzta said it expected the Cloverhill unit to become profitable again in 2018, "but will be loss-making for a number of months until then." In a recent email to CNNMoney, Aryzta spokeswoman Tracy Stecko noted that Cloverhill's staffing is now at "appropriate levels for our current business needs." Staffing agencies are routine targets for ICE audits because they have such high turnover rates, said Fay. "So they want to get lots of candidates in the labor pool and sometimes get lax in conducting work authorization checks," he said. "On the other end, businesses that use staffing agencies think they can skirt liability because they didn't directly hire workers later found to be undocumented," he said. But they, too, can face financial penalties or jail time. Stecko said Aryzta conducts background checks for all of its direct hires. She noted that the company even voluntarily uses E-Verify, a federally-run online tool that crosschecks information on an employee's I-9 form against records at the Social Security Administration, Department of Homeland Security and the State Department. She said the company stipulates in its contracts with staffing agencies that they must do a similar background check on workers they hire for the firm. 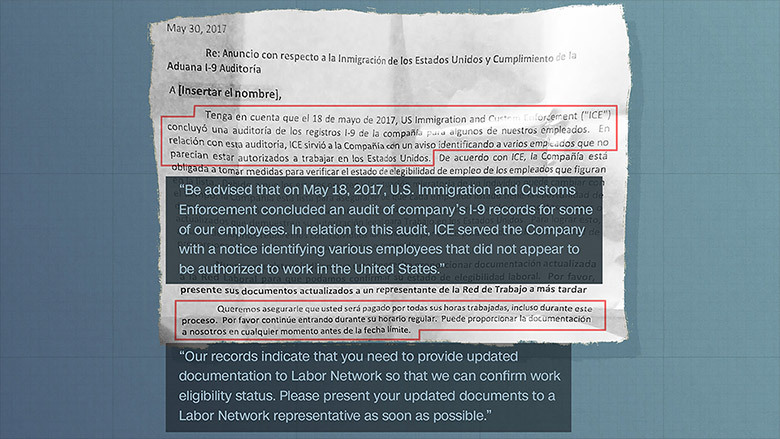 In late May, the worker received two separate letters from his supervisor -- one written in Spanish from Labor Network and one written in English from ICE. 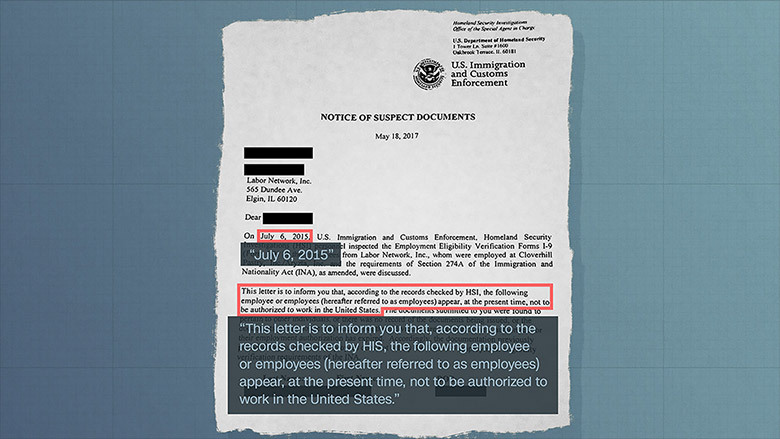 Both letters stated ICE had conducted an I-9 audit of Labor Network's employees and that he needed to provide proper I-9 documentation "as soon as possible." If he was unable to do so, the letter said Labor Network would have to let him go. The employee's wife, who had worked at Cloverhill for six years but then left to raise their two children, said the family was reliant on his salary. "My husband gave many years to Cloverhill. Many days he worked 12-hour shifts. He's not been able to find a stable job since June," she said. She said her husband recently found some factory work, but when he went to cash his paycheck, the checks bounced. "We're really struggling," she said. "The result of this audit had a great impact across the northwest side of the city, with hundreds of families struggling [to] find new jobs," said Juan Cruz, from Chicago-based advocacy Communities United. "These workplace audits further undermine workers' rights and enable silence to report incidents in which workers' rights are violated in fear of outing their status or suffering retaliation." Aryzta declined to comment on the terminated workers, noting that "their employment status is a matter between the professional staffing agency and its employees."